The standard wording on this design is… ‘Thank You!!……. (names) have swept up the crisp crumbs, finished off the leftover beer and wine and put out the empties for recycling! 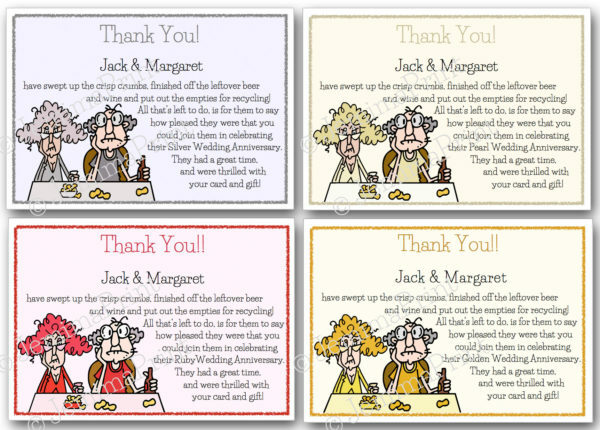 All that’s left to do, is for them to say how pleased they were that you could join them in celebrating their (silver/pearl/ruby/golden) Wedding Anniversary. They had a great time, and were thrilled with your card and gift!.